In many cases, those empowered to researching a payment integration aren’t fully aware of not only the types of payment facilitations available to them, but haven’t considered their accompanying issues. When it comes to making a decision about a Payment Processing Partnership and how payments will be facilitated to your software user base, there are a range of options to explore. On the business side, usually, a stakeholder with lesser or no coding involvement at all tends to look more at how a payment integration will affect their user base in the long run, as well as how the integration will enhance their bottom-line. On the developer side, possibly a stakeholder, but with a great deal of hands-on involvement with the application coding, they commonly look towards providing multiple payment integrations – much more of an agnostic approach to payments facilitation. Utilizing a payment aggregation service. Becoming a payment aggregator yourself. The processing organization might also participate with survey creation, mobile application development assistance, marketing support, or tweaking existing systems to meet the needs of the user base. Organizations who choose the Payments Partnership option tend to be driven by price sensitivity – the sell price to their user base and/or potential profit to the SaaS organization’s bottom line. Many organizations tend to undervalue their leverage. Leverage can be measured a couple of ways; application potential and existing transactional volume. Existing volume is easy to measure, but application potential is a bit trickier. Measuring application potential requires taking into account organizational funding, stakeholder history, where the application is at in development and a review of it by the potential processing partner, market awareness of the potential processing partner, market data provided by the SaaS organization. Developers love Stripe because of its easy integration, great API, and reduced friction of onboarding in aggregation services. However, costs will be slightly higher than typical merchant accounts. How would increasing processing volumes be affected? What kind of customer service do the users of your application get when they need answers about payments processed? Choosing a processor who would be providing your application users a merchant account to process means that every application user who would be requiring the ability to process payments (within the application) would be required to complete a processing application and be underwritten. On the surface, this appears to have more friction, but this depends on a number of factors. SaaS application-specific boarding can be arranged, assuming there’s partnership potential. In some cases, the positives far outweigh any friction that users might incur. Superior support, recurring payments adoption plans plus implementation assistance from the processor, recurring revenue to the application stakeholders, lower processing fees, and support of the application’s business itself. The majority of time becoming a payment aggregator is not the right fit for a business. Businesses are captivated by the thought of frictionless onboarding without taking into consideration the compliance, expense, risk mitigation, legal work and staffing concerns that they didn’t know about. Think of Hybrid Aggregation as managed payment aggregation. Take the aggregator example above, but eliminate the initial expense, underwriting and risk mitigation concerns, compliance and legal expenses by having a specialized payments firm manage those aspects for you. The benefit is frictionless boarding. This facilitation model almost exclusively refers to ACH Payments (e-checks). Employing ACH processing usually benefits software applications that have using companies with recurring payments needs. Costs are lower and bank accounts don’t expire or get closed near as often as credit card accounts, but underwriting can be tricky in some cases. Poor underwriting is the leading cause of this model’s failures. To make things worse, many ODFI banks have very strict policies that prohibit certain types of transactions, some you wouldn’t think would be considered high risk. 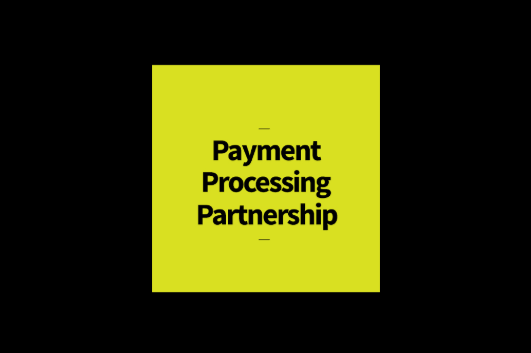 Make sure you understand all available options, and the accompanying pros and cons before choosing a Payment Processing Partnership.